Going on a traditional family holiday could be extended for several more years as a growing number of UK adults are being forced to holiday with their parents to save money. Almost two million parents are expected to take their adult children on holiday with them this year, according to one travel insurance provider. Millions of young adults are being forced to forgo Club 18-30 holidays as they can no longer afford them, forcing them to bag a bargain holiday with mum and dad. The study found that the average age of a son or daughter joining their parents on holiday is 30. Selwyn Fernandes managing director of LV= said: "Young adults, and even some middle-aged ones, are trying to save money where they can and holidaying with the parents is becoming a growing trend." Speaking to The Independent, 28-year-old Katie Przybyl, from South London explained the financial benefits of travelling with her family. “In the past three years I have been on holiday twice, both times with my parents. In 2010 we went sailing in Croatia and my parents covered the cost. This year, my sister Alina, 24, and I went sailing in Croatia with my dad again. This time he requested we contribute £100 each, but in the end my mum gave us £200 each to cover the contribution. 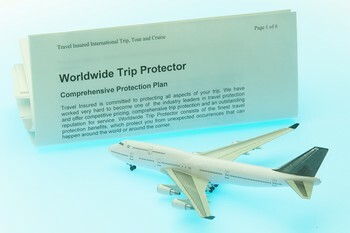 One of the additional costs of travelling that should not be sacrificed is travel insurance. This is typically designed to protect your finances in case of emergencies and potential holiday disasters.